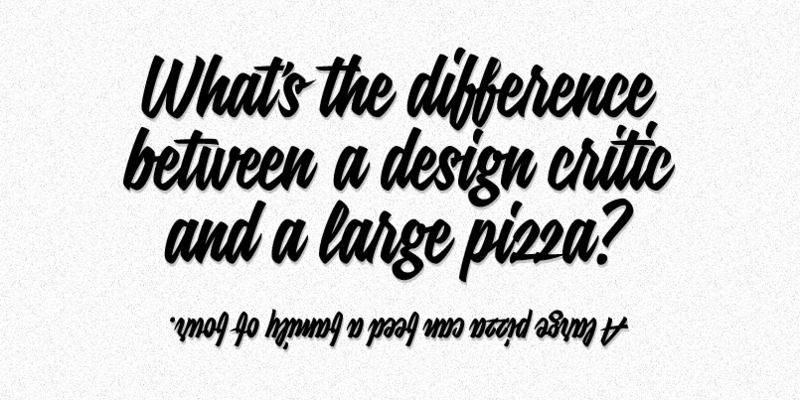 This lecture by Alice Twemlow dives into the notion that the venues for design criticism in the shape of newspaper and magazine columns are few and far between and most design critics are not paid enough to make a living solely as writers. There are instances, in the latter half of the twentieth century, when design criticism was valued economically and culturally, when publications gave space and salaries to design critics, and framed their work as such. But, for the most part, design criticism, has always been a dispersed and fugitive enterprise, inhabiting the interstices between the media’s subject silos, and, beyond publishing, shaping the approaches, activity and output of museums, institutions, professional associations, schools, publishing, research, and retail. The lecture is followed by a debate with prof.dr. Bernard Colenbrander, professor of architectural history and Max Bruinsma, Design Critic. Although many consider design criticism’s dematerialization as a defined and largely textual entity as evidence of its identity crisis or demise, in fact, design criticism’s absorption into the fabric of cultural criticism broadly writ might be seen as an indicator of its maturation. 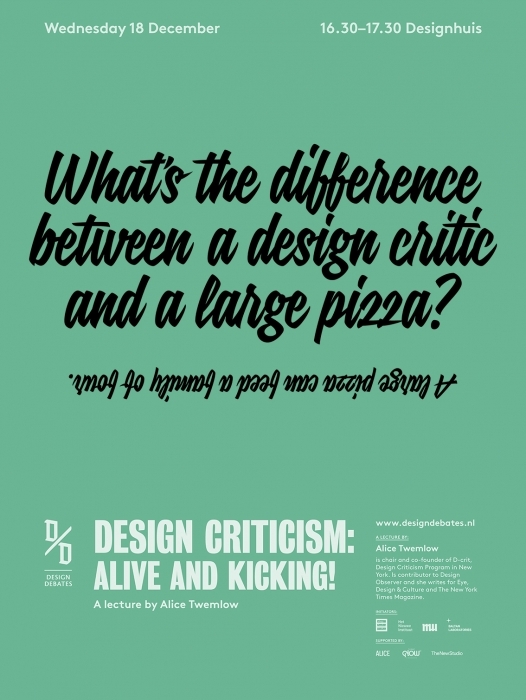 This essay is about design criticism and how it should be educated, it is based on a discussion with Alice Twemlow followed by the Design Debate and of course riddles with creative thoughts by Bobby Dekker. Alice Twemlow is chair and co-founder of the SVA MFA Design Criticism program will give a keynote lecture on this. Twemlow is a contributor to Design Observer and writes about design for publications including Eye, Design & Culture, and The New York Times Magazine. Bernard Colenbrander (1956) is professor Architectural History and Theory (AHT) at the Technical University Eindhoven since 2005. Since 2009 he is also chairman of the Unit Architectural Urban Design and Engineering (AUDE) in Eindhoven. Max Bruinsma is an independent design critic, editor, curator, editorial designer and editor-in-chief of Items, the Dutch review of design. He studied art-, architecture- and design history in Groningen and Amsterdam, the Netherlands. Today it has become unlcear what criteria to use to criticize architecture. What grounds the critic's critique? The 'common ground' called for during last years Venice Architecture Biennale seems further away than ever.